[Test Report] Trying Aquilas Thundergut on my fretless Kala UBass | Part 1 – Play UBass! Using a tuner and some YouTube videos as help as I string up! Today I finally got around to try out the Thunderguts by Aquila! I will do a more in-depth comparison between the original stock Pahoehoe strings and these new (for me anyway) white nylon-ish strings. One thing I do find is that the feel of these strings are quite different. I have just only put the Thunderguts on and will wait a day or so to let the strings settle a bit more before I do any more testing. Please stay ‘tuned’ for more as soon as I have tried them some more, doing test-recordings and so on! < Jammin’ with my Kala UBass | 26 In my studio with musicians from São Tomé! 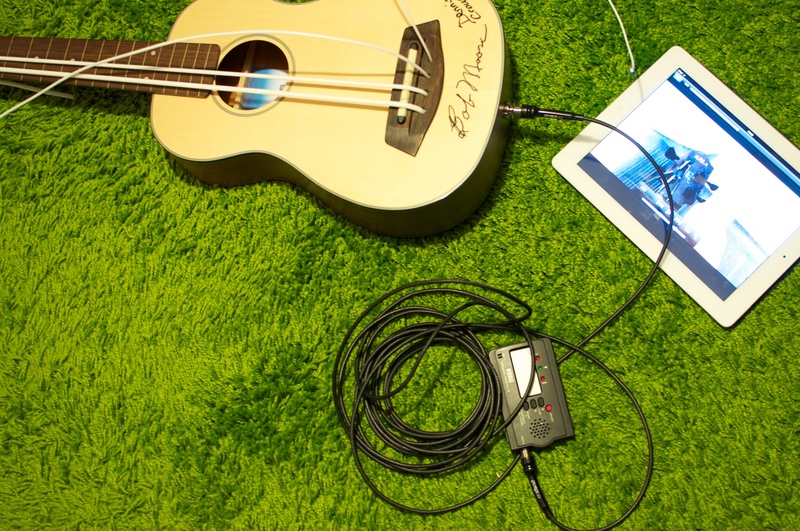 Pingback: [Song Teaser-Test Report] Could be a new song for the “Speaking Ubass” project!? | Play UBass! Part 2 of my test is almost ready. I’ll try to post it this weekend! Pingback: [Song Teaser-Test Report] Jam Afrique and String test | Part 3 | Play UBass! Pingback: String Review of the Aquila Thunderblack – Play UBass!